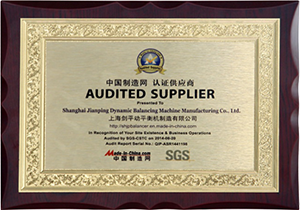 This is our ISO Certificate, which makes our value chain more efficient and provide you with safe delivery deadline and costs. We devote to optimizing our processes and document this within the scope of a regularly checked Quality Management System according to TUV ISO 9001 : 2008 . 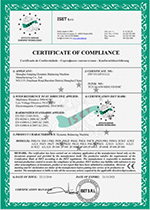 This is our CE Certificate, which identifies products been regulated by certain European health, safety and environmental protection legislation.CE stands for Conformité Européenne. The mark indicates that the product meets the legal requirements described in the applicable directives. 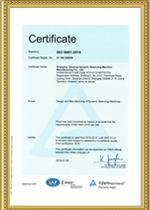 This is our SGS Certificate,which provides independent services that touch the lives of millions of people across the globe.It can provide you with industry leading inspection, verification, testing and certification services –anywhere in the world.In recognition of your site Existence&Business Operations,Audited by SGS-CSTC. 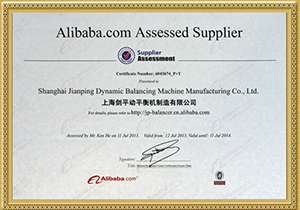 This is our BV Certificate. Bureau Veritas is a global leader in conformity assessment and certification services in the areas of quality, health and safety, environment and social responsibility (QHSE)offering services in 8 global businesses and developing innovative solutions to reduce risk, improve performance and promote sustainable development.